You know spring is on the way when you start to see newly mulched landscape beds. New mulch gives off a pungent, earthy smell which is hard to ignore! 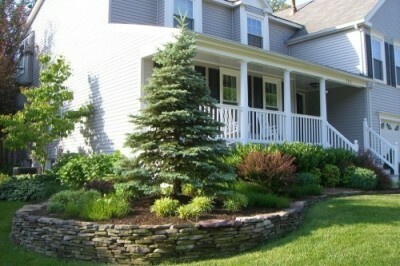 Mulch, with it’s hefty scent, has several important benefits for your plants and landscape beyond its nice appearance. Here are a few of the most important benefits: Protection: By applying only a depth of 2” inches of mulch to the beds and surrounding plants you help ensure the plants survivability by keeping the plant roots cool in the summer and protecting the plant from water loss as well as in the winter months by insulating the plants roots from frigid conditions. Weed Suppression: Mulch acts as a weed block in landscape beds by blocking sunlight to the bare dirt which prohibits the new formation of weeds. A 2” layer of mulch will also allow air and moisture to penetrate down into the soil profile, provided you do not apply more than 2” to the landscape bed. Thicker amounts of mulch applied will harden off and act as a barrier to air, nutrients and water to the plants. Nutrients: During the year mulch will continue to break down into the soil profile providing humus, which contains many useful nutrients for healthy soil such as nitrogen, which is delivered directly to the plants. This process of degradation of the mulch allows the plants to develop a healthy root structure which helps the plant thrive and live through stressful times during the year. Most professionals use double shredded hardwood mulch which comes in standard or dyed options. The dye-colored mulches, particularly the brown dyed mulch (water based coloring), tends to hold its color longer (two-three times) than traditional double shredded hardwood mulches, but they also can be two to three times more expensive. As a company, we use more brown dyed mulches in the landscapes we maintain to reap the added benefits it provides; however, some of our clients prefer non-dyed mulch and we’re happy to cater to their mulching needs. No matter which type of mulch you choose, it’s important to use it and apply it properly to ensure your investment in your landscape for years to come.